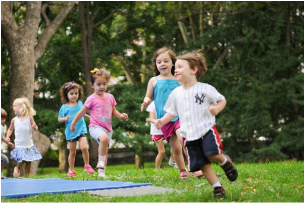 By participating in our programs your child will develop physical and social skills, be challenged to reach their fullest potential, learn to make healthy lifestyle choices, and have fun doing so. Our programs offer a safe, active, and fun environment for athletes of all ages. Our competitive/pre-competitive Elite Team Gymnasts train 4-16 hours a week at an Invitational level. We offer programs for both boys and girls. Ask about joining our team today! TBGA is the go-to gymnastics club for all your party needs. From birthdays and celebrations to school/daycare/group visits. You'll be sure to find something right for you and your guests. PROFESSIONAL ACTIVITY DAY GYMNASTICS CAMPS FOR THE 2018/2019 SCHOOL YEAR! Looking for space or use of equipment for your sports team, business, organization, or activity group? We have lots of it! We offer a wide range of programs for everyone! 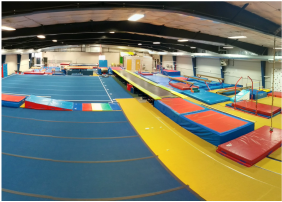 Check out our adult gym, private classes, trampoline, and other specialty programs. Athletes of all ages should come to gymnastics in clothing they are most comfortable in (shorts, tights, t-shirt, gym suit). No socks permitted and all jewellery/watches must be removed. Also, please ensure girls with long hair have it tied back.